After the founding of the Republic of China Sun Zhongshan proposed the "new model of the other issue the casting commemorative coin" and then two mints in Wuchang and Nanjing took the lead in casting the coins of the commemorative coins of the Republic of China in the Republic of China mainly in the ten literal values which were issued to replace the bronze yuan in the Qing Dynasty. In 1914 copper coins were officially renamed "copper coins". 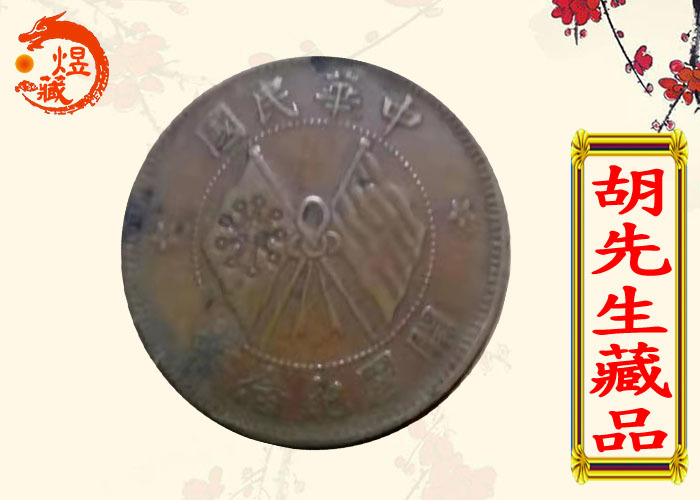 The biggest difference between the copper coins issued in the Republic of China and the Qing Dynasty was that the dragon pattern was replaced by a Jiahe pattern composed of Rice Panicles. 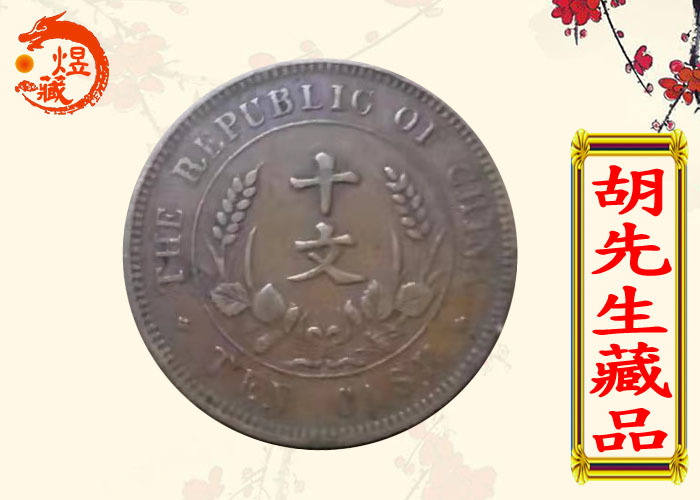 Most of the copper coins produced by the provinces are two-sided flag patterns with the words "Founding coins" or "copper coins of the Republic of China". The central pattern of the coin is "Eighteen Star iron blood flag" and "five color flag" cross and the flag has a tassel. The two flags symbolizes the national unity and national unity; the top book of the coin front circle is the Republic of China; it is decorated with patterns; the lower is the commemorative coin of the country; the back is engraved "when the money making ten articles" marked the value of the currency. The left and right patterns are made up of Jiahe grain for Rice Panicles. It means rich people's full age. This coin is preserved well thick and thick and the circulation and use marks are obvious. The graphic and text on the coins are still clearly visible to the present. It has high historical value artistic value and collection value.